Microstructures and Process Sensors research group is dealing with measurement and control of microfluidic effects in liquids and gases, development, implementation and application of miniaturized sensors for thermal, chemical and biochemical processes as well as the combination of compact NMR technologies and microstructure devices for the named topics. It is aimed to measure (bio-)chemical reactions and determine their reaction pathways as well as the kinetics. Therefore, microfluidic behavior, heat and mass flux, local concentrations and reaction performance are to be measured. Combinations of innovative microstructure devices with new, innovative and already existing miniaturized sensors and actuators will be used. NMR / MRI technology will be applied to obtain high-res observation data of processes inside microstructure devices. Combinations of optical and NMR analysis are also planned. Aside, the EU-Horizon2020 project MIGRATE is coordinated. MIGRATE is an International Training Network (ITN) within the EU Marie-Curie-Actions, hosting 15 Ph.D. candidates within 17 organisations. 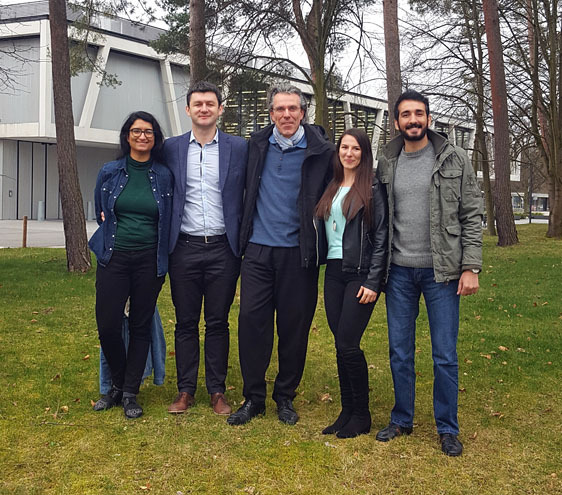 For her project within the EC-ITN MIGRATE, IMT PhD student Sofia Toto received the IUVSTA-Elsevier Student Award at the 15th European Vacuum Conference in Geneva (Switzerland).